Representations of Indian economic life have played an integral role in discourses about poverty, social policy, and cultural difference but have received surprisingly little attention. Daniel Usner dismantles ideological characterizations of Indian livelihood to reveal the intricacy of economic adaptations in American Indian history. Officials, reformers, anthropologists, and artists produced images that exacerbated Indians’ economic uncertainty and vulnerability. From Jeffersonian agrarianism to Jazz Age primitivism, European American ideologies not only obscured Indian struggles for survival but also operated as obstacles to their success. Diversification and itinerancy became economic strategies for many Indians, but were generally maligned in the early United States. 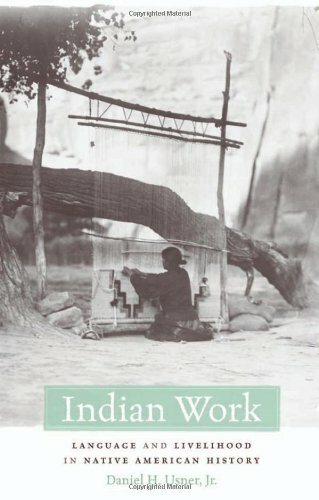 Indians repeatedly found themselves working in spaces that reinforced misrepresentation and exploitation. Taking advantage of narrow economic opportunities often meant risking cultural integrity and personal dignity: while sales of baskets made by Louisiana Indian women contributed to their identity and community, it encouraged white perceptions of passivity and dependence. When non-Indian consumption of Indian culture emerged in the early twentieth century, even this friendlier market posed challenges to Indian labor and enterprise. The consequences of this dilemma persist today. Usner reveals that Indian engagement with commerce has consistently defied the narrow choices that observers insisted upon seeing.